Ann's career has been embedded in HR and organisational development. She commenced her career in the NHS and after a gap of 28 years returned to her original roots in the public sector within the people and planning function. Ann spent the majority of her career in the retail sector were she progressed from operational HR which covered all aspects of generalist HR and training to national strategic roles, focus on talent management, organisational design and ways of working supported through development. On leaving retail Ann moved into the manufacturing sector before taking on the HRD role for the previously named Child Support Agency. This was a challenging role as the organisation transformed through a detailed cultural and organisational plan to implement a new way of providing support to separating families. Ann took up her current role in 2014 with North Tees and Hartlepool Foundation Trust. Her role is Director for HR & Education and this includes organisation development, transformation and communication. 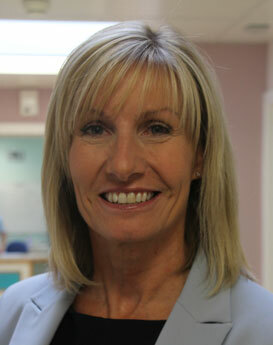 As Director for Education in a teaching hospital Ann is actively involved in the development of individuals at the start of their career, including junior doctors and nurse trainees, through to delivery of day to day development and mandatory training in a fast paced patient centric organisation. Ann is also a member of the Health Education North East Governing Body and Chair of the North East Social Partnership Forum. On leaving school in 1984, Gary started his working career as an Apprentice Carpenter/Joiner in the construction industry. He became qualified after serving a four-year apprenticeship and spent the following years working on construction new build and renovation projects around the country. Gary made the decision to move into education in 1998 and, after a brief spell as an Assessor with Tarmac Training, he was appointed as a Lecturer in Construction at Northumberland College. Gary successfully achieved the BA (HONS) Degree in Education (2:1) and progressed to become Deputy Head of Faculty (Construction, Engineering and Land Based Industry) before leaving the College in 2005 to take up the post of Head of Construction at Sunderland College. Gary had nine successful and enjoyable years at the College progressing to the post of Director of Curriculum. 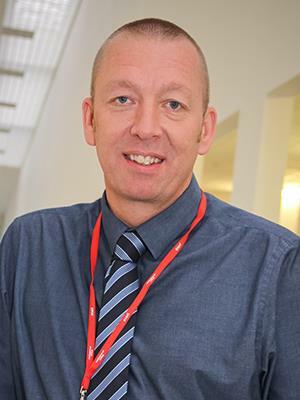 In December 2014 Gary was appointed to the role of Vice Principal Curriculum and Quality at Middlesbrough College. He is responsible for ensuring the curriculum offer is meeting the needs of users, is high quality, cost effective, and meets all funding body requirements. Gary is a serving Ofsted Inspector and has been since 2011. He carries out Ofsted inspections in further education colleges and independent learning providers. He has extensive experience of developing teaching, learning and assessment resources for various publishers and has co-authored an education textbook. 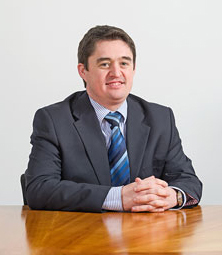 He also has experience of developing examination papers for a variety of awarding body organisations. Gary is looking forward to the challenge of being a proactive and committed Trustee. Christopher has over 10 years’ experience in Accounting and Finance and currently works as the Finance Director of Darlington Building Society. Christopher is a Chartered Accountant and a member of the ICAEW (The Institute of Chartered Accountants for England and Wales). Christopher trained for his chartered accountancy qualification with PricewaterhouseCoopers (PwC) where he worked for 6 years in both Leeds and then Newcastle. In this time Christopher worked with a diverse range of clients across the north east in a number of sectors, from finance and professional services firms, to heavy manufacturing and construction industries as well as marketing, design and architecture firms. Education has always been an area of keen interest for Christopher who looks forward both learning more about the education sector as well as contributing his knowledge and experience with regards to the financial management of the organisation.